Creating a software product is a complex procedure consisting of versatile components. In other words, it is not enough to gather a team of experienced developers and tell them what you need. A proper organization of a workflow, as well as a constant tracking of all stages of the agile project, is a prerequisite for running a decent activity. Regardless of the chosen development methods, be it Kanban, scrum or mixed, a powerful project/product management tool is a way to achieve a fast and quality result by coordinating all operations associated with the project. That term can be comprehended better if explained through a certain example. So, meet Jira. Using Jira for project management is the way to guide numerous operations throughout the entire lifecycle. One can customize or tailor it to own demands within the scope of any workflow. Agile product management is the core application filed of the tool but not the only one. Let’s have a look at some features of the tool. The best product management tools like Trello offer a precise way to track the workflow progress and manage daily tasks. Jira is not limited to these functions and offers a range of features to deal with project and product management. Thus, one can create projects or sprints inside projects, as well as guide them by creating stories for the further utilization by a developing team. It was already mentioned that any chosen agile method is not a problem for Jira. If you opt for scrum boards, you are free to customize them for a unique workflow. All four pillars (sprint planning, sprints, daily scrums, and retrospectives) of that framework are available. The same thing is with Kanban boards and their underlying elements including continuous releases, work-in-progress limits, lanes, and the list of work. If you choose a mixed method like Kanplan or Scrumban, you are provided with all required features to deliver the result. Being in the middle of the project requires a clear understanding of the budget and current progress. Project management tool Jira gives best reports for estimating all essential values and metrics. The most interesting feature of the said tool is the support of tons of external add-ons also known as plugins. One can use them to control everything about the product inside the tool. Atlassian Marketplace is the habitat of the mentioned apps. Before we shift to reviewing Jira add-ons, a special topic on dissimilarities between Cloud and Server solutions of the tool should be explained. Those who make a choice for the said agile product management tool have to answer one question namely “What version to choose?” Two options are available – the cloud version and the self-hosted aka server version. And it is essential to delve into details of each option to deliver a proper verdict. One can hear this word anywhere now. Moreover, an accustomed term denoting a visible mass of small liquid droplets suspended in the atmosphere is replaced with a state-of-the-art technology. Today, the term “cloud” denotes a network of servers that contain a certain content or software. Fast Launch. You need a few minutes to start your work with Jira application after the purchase. No complications are entailed. Everything is clear and easy. Constant upgrade. The app is subject to the constant upgrade to be in tune with the latest releases of the software. Fewer Worries. As a rule, the cloud version is free of various issues associated with memory, servers, CPU, networking, and others. So, users can focus on other important things while the more trivial ones will be administered by Jira app. Budget Economy. Technical stuff does not need your particular involvement. Hence, you are saving your budget. Security. The SSL cryptographic protocol is implemented by default. Limited Customization. Users are not provided with full customization capabilities to modify system files. Limited Administration. Certain system administrator functions are not accessible for users. Limited selection of plugins. Not all plugins are designed for the cloud implementation. However, the Atlassian Connect developer platform allows you to build own custom add-ons. Limited Storage. 25 gigabytes is the limit of the storage capacity. Still, the option to control attachments in the Jira project management tool is available. Lack of Staging Platforms. Such options as development or test server are not available for the Cloud version. Target Users. The said version is appropriate for small teams without in-house system administrators on staff and any desire to deal with numerous technical concerns like maintaining servers, software upgrades, etc. This version is a more customary solution where a user buys a software and installs it on own servers. Still, the option entails miscellaneous technical concerns. Naturally, all the cloud version cons turned into the pros of the server version of Jira app. I.e., users have no limitations to modify system files and possess all system administrator privileges. All available plugins are compatible with the server version. And the volume of the storage is regulated by your technical capabilities. Besides, the option of an automatic upgrade is expanded at server solution. Otherwise speaking, you can control it and decide whether to apply the software upgrade or not. Another advantage ensured by the server version relates to a development license to be used on staging platforms. With it, users can test new releases of the project management tool Jira and its add-ons prior to migrating to production. Still the Server’s major ace in the hole is ability to support more than 2,000 users. Cloud version cannot cope with such volume hence is not a fit for businesses with larger demands. Security and privacy are other reasons why customers opt for that version. Medical-related enterprises and miscellaneous companies dealing with classified data must be confident in a reliable information protection. Since the cons of cloud version turned into the pros of the server solution, the similar thing is observed with the reverse of the coin. It means that certain cloud benefits changed into disadvantages for server implementations. Complexity. Installation simplicity is a relative concept since it is not complicated to install JIRA on the server but it is necessary to build out server environments and database prior to the configuration of the tool. Some users may find it easy as a pie while others may face serious troubles. Expensiveness. Forget about saving the budget because the selection of the Server version means to opt for a much more expensive solution. Jira application foresees a range of aspects to worry about and significant expenses. Target Users. Unlike the cloud implementation, the server one is a fit for large businesses and teams. As a rule, the tool is coupled with existing internal systems characterized by the necessity to handle sensitive data, which is not designated for cloud storage. Eventually, we approached the very topic of the publication. It means that the readers have reviewed best project management tools available on the market and opted for the said one. Manifold competitors like Krosswall or Agilean are left behind. Now, you can increase the productivity of your team by virtue of Jira add-ons project management. So, let’s have a look at the following solutions, most of which support both Server and Cloud Jira instances. Customization of UX and UI. The list of features is rather long. So, this plugin can become a great solution for your demands. In the world of product management tools, the plugin is known under the acronym of JMWE. It is applied to customize work process conditions through a set of advanced post-functions, validators, and conditions (more than 30). The most attractive thing is that no coding is required. If more customization is needed, Groovy scripts are available to make the runtime process even more powerful. Besides, you can quickly utilize tried and tested workflows by means of the Nunjucks scripting language documentation. Put in short, JMWE eliminates shortages of embedded features for creating sophisticated work activities. The add-on helps your team structure all big checklists, divide tasks into items, group them, and mark their implementation upon the accomplishment. It’s a kind of embedded organizer to handle general operational tasks for either software development, quality assessment, or support. 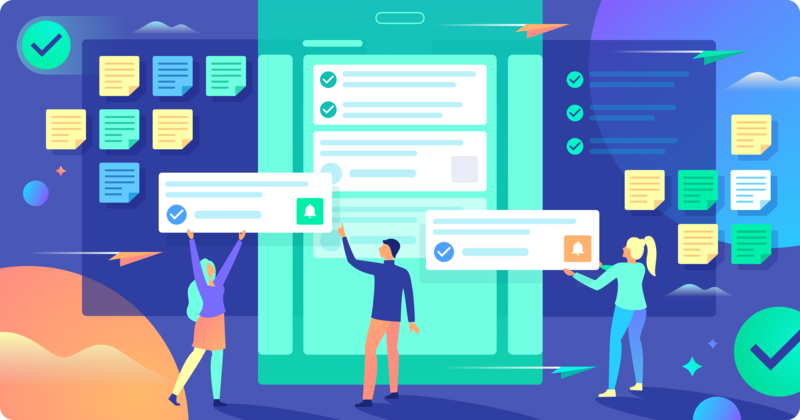 And it’s a lightweight substitution of Jira subtasks for setting Definition of Done, Acceptance Criteria and ToDo lists (read this blog post to find out how Agile teams can benefit from using Jira checklists). Smart Checklist Enterprise is the simple-to-use Jira task management plugin, which is packed with various useful features including a full-screen editor, group checklists, saving and loading checklists from templates, populate via API, tracking changes in item activity tab and others. 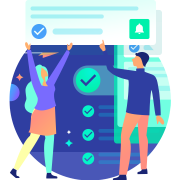 Checklist for Jira add-on will be especially helpful to those Jira users, who recently migrated from Trello and misses simple task management in Jira tickets. A simple way to automate your team is to opt for this Jira planning plugin, which won the main prize on the Atlassian ninth add-on hackathon also known as Codegeist. The essence of Automation lies in configuring powerful automation rules. There is no need to learn Jira API or write custom scripts since this add-on is designed especially to automate Jira. Do you wonder what can be automated in particular? Let’s have a look at some popular examples. SMS notification for high-priority issues. These are the popular automation use cases. However, you can always apply it to own specific demands. The principle difference of this add-on from other ones on the list is the lack of cloud version support. Still, those who opt for server solution are capable to benefit from that Jira project management tool. It allows organizing issues into hierarchies of any depth to provide a detailed planning. In addition, the tool offers a visualization of complex relationships, linked issues, and multiple projects. Users will see aggregated progress, time and other metrics. Certain automation rules like filtering, grouping, and sorting are also provided. This smart tool is a feature packed and sophisticated solution for test management. Zephyr enables a seamless integration of testing procedure into the runtime process. Thus, users are capable to build, schedule and carry out tests imminently in Jira project management tool. Such useful features as tracking, linking and filing bugs are provided to monitor the text accomplishment status.Users are also provided with access to multiple quality parameters for creating two-way end-to-end traceability reports. The tool supports seven most widespread languages including simplified Chinese and Japanese. The solution offers painless working time recording, convenient report system and improved overview of detailed time expenses. The add-on allows tracking accomplished work to perform salary calculations, capitalization measurement, and customer billing. Various internal issues like meetings, vacations, holidays and days off can also be tracked. Put in short, it is a decent time Jira tracking tool for planning and reporting flexibility. The problem of creating similar tasks is relevant for Jira users. Yet, it can be solved with The Scheduler, which automates the process of creating repetitive tasks i.e. you create a task once and the plugin reschedules it in the future. You can use own template, define frequency or interval (daily, weekly, monthly), and other attributes. Otherwise speaking, this solution of numerous Jira add-ons will create tasks for you. When you control time, you control your workflow. Gantt chart is a widespread method of tracking workflow. This method is implemented via Jira task management solution to ensure efficient planning and simplified project portfolio guidance. Users can create and structure tasks directly on charts, automate WBS, benefit from auto-scheduling and inline editing etc. You will definitely appreciate the intuitive drag-n-drop interface and Microsoft Excel export capability. A wide range of tasks and issues are similar or routine, which means that they can be created based on the template. Yet, where can one find such template? Using Jira for project management means to have access to multiple tools and solutions for the optimization of any aspect of the working process. Using templates is an element of such optimization. Templates contain dynamic information in form of variables. A task created of the template will be filled automatically with field values that will be utilized in subsequent subtasks. It sounds magnificent, doesn’t it? The above-described selection of Jira plugins is only a small selection of decent tools to assist in your project management endeavors. If you are interested in a wider choice of apps for the said software solution, you are free to find others solutions but be ready to face a challenge since the number of Jira add-ons is measured by hundreds. Nevertheless, using Jira tool might be a real timesaving and effort-efficient way to manage your Product.